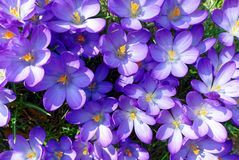 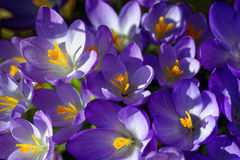 Violet Crocus bloom bright in sunlight. 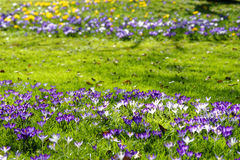 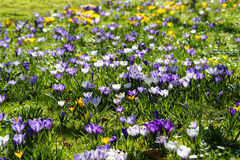 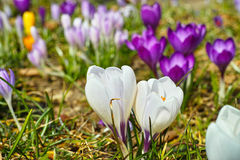 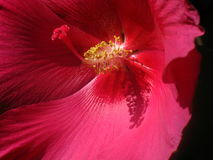 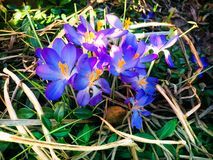 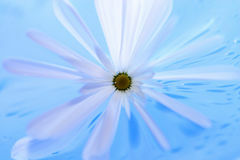 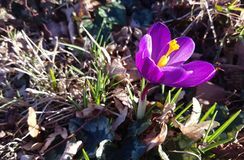 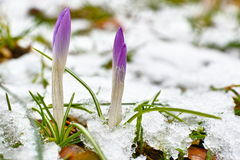 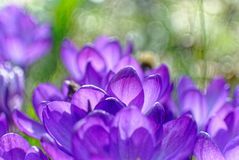 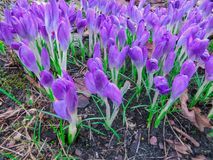 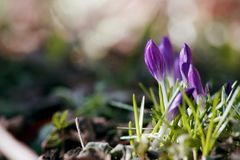 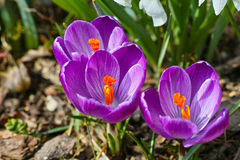 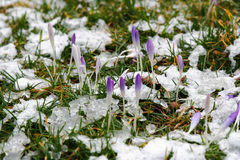 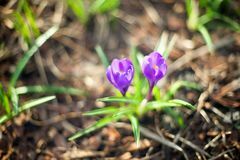 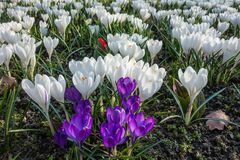 Vibrant colors found in the nature: Bright Crocus bloom in the sunlight. 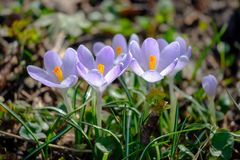 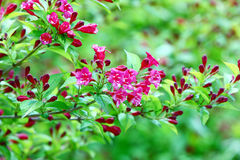 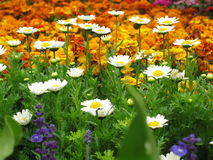 Early spring expressions. 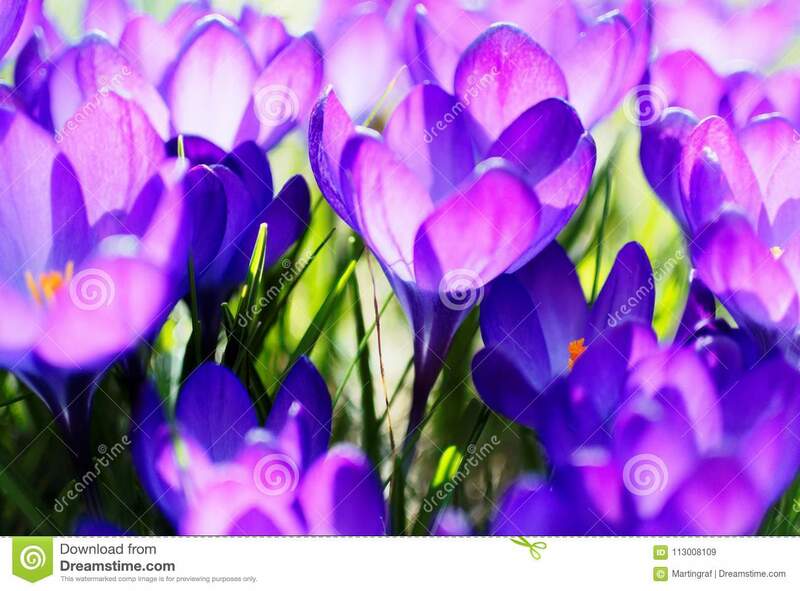 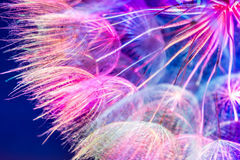 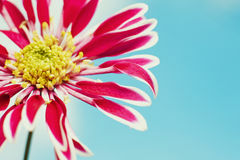 The color of year 2018 found in the nature.